Described by Catering Magazine as “picture perfect,” our outdoor space with lush green lawns and a charming gazebo is an ideal wedding venue. 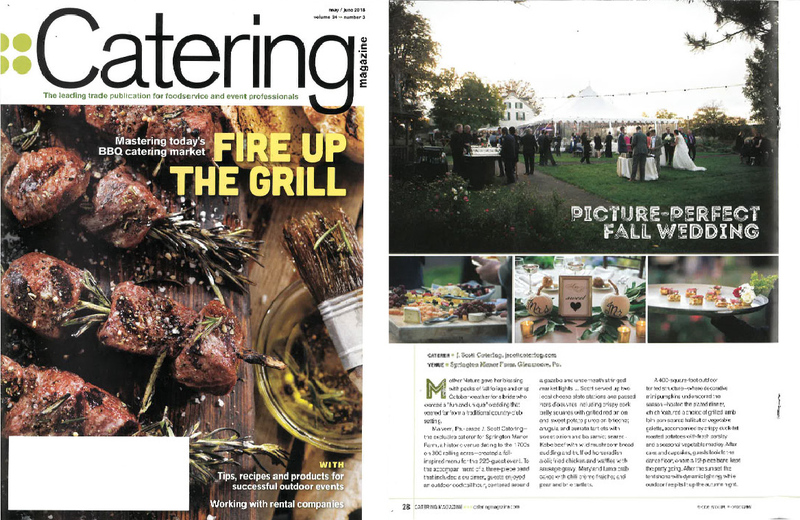 The recent fall wedding featured in the May–June issue is a perfect example of how our naturally beautiful location is elevated by custom menus and décor. Among colorful foliage, 220 guests embraced the fun atmosphere that spread over our 300 rolling acres. With a three-piece band playing under stringed market lights, guests relaxed during the outdoor cocktail hour before stepping in to the 4,000-square-foot outdoor tent for a fresh seasonal dinner. With custom-decorated mini pumpkins on display, a gleaming dance floor ready for action, and outdoor fire pits to light up the crisp night, this fall wedding certainly was newsworthy. For an inside look at this unique wedding and other noteworthy outdoor events, check out the full article here. And to start planning your remarkable event on our historic property, contact us online or give us a call at 610.733.2516.